"The Corpse Doctor" Thunderland Jr.
A biologist who belongs to the Amberground Science of Living Creatures Advisory Board, Third Division. 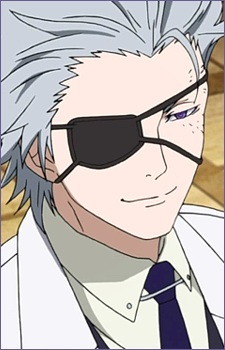 He specializes in pathology and collects corpses for dissection and study, earning him the nickname "The Corpse Doctor." He has a morbid interest in dissection. Nonetheless he has a kind heart, and makes a star-shaped memorial for each corpse he dissects. He is also one of the survivors of " The day of the Flicker".